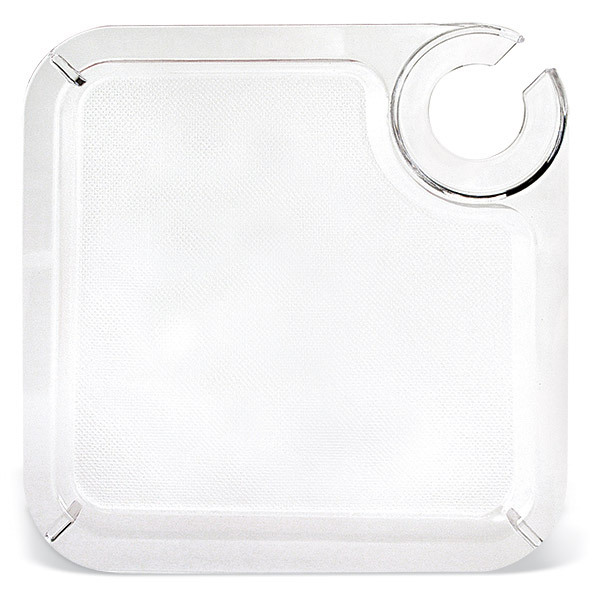 Enjoy the freedom of a buffet plate and beverage holder all in one. 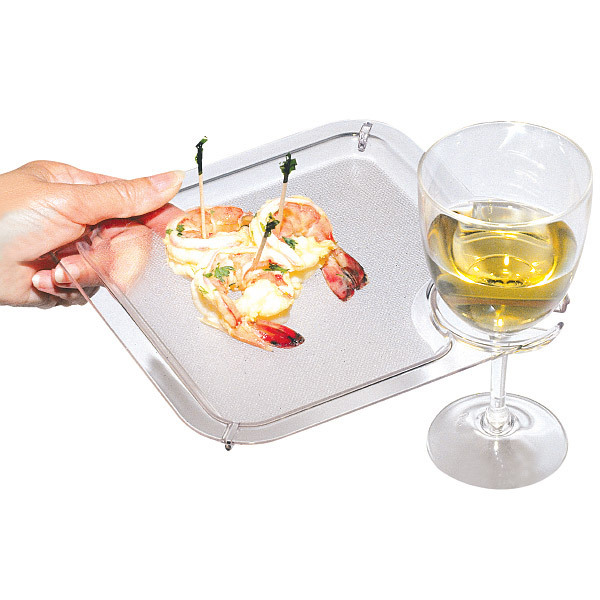 This unique clear plastic plate features a special stemware holder. The arrangement allows you to balance the plate and a glass in one hand and still spoon up Swedish meatballs with the other! Ideal for buffets, beach parties, and wine tastings. (Glass not included).